I know we already did a post on baby walkers, but this time, we’ll focus on the best baby push walker only. They’re the perfect tool when your little one is already learning how to walk, and in this post, we’ll give you all the information you need when shopping for one. 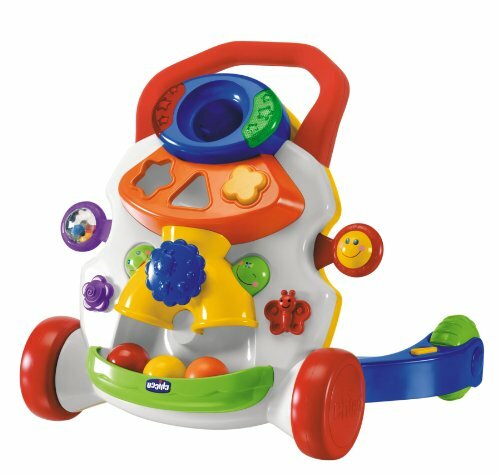 Fisher-Price offers stimulating play with its Bright Beginnings Activity Walker. The walker features an activity center with spinning panels, turning gears, flipping doors, and sliding beads. At the center of the panel is a large spinning ball surrounding by additional hands-on activities. With four large wheels, you can be sure of the stability of this push toy. If your child is not in the mood to push the walker around, you can fold the walker flat so he can have some play time sitting down. The ability of the walker to fold also makes it easy for you to carry it for travel or store it when it’s not in use. It doesn’t require any assembly at all, which means your child can play with it straight out of the box. It’s suitable for both tiled and carpeted floors. You may need to place some weights on the base for the wheels to create enough friction with the floor and not slide. 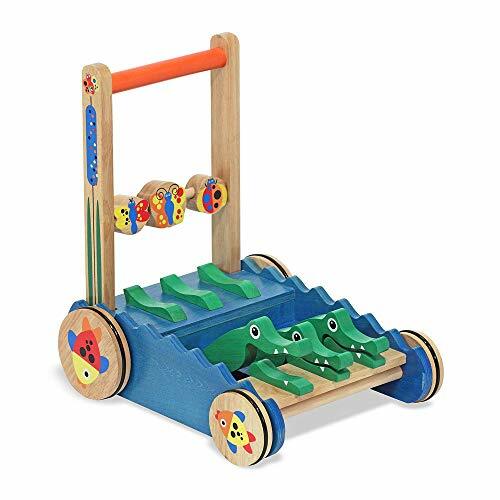 For parents who are looking for a classic-looking push walker, the Deluxe Wooden Activity Walker from Melissa & Doug should be an ideal choice. It features three green wooden alligators that chomp along and create a soft clacking noise as the walker moves. READ Want to Know the Right Time When do Babies Hair Change Color? The wheels come with rubber linings so that they don’t move too fast, allowing your child to have complete control of the walker. The base is broad enough to keep the walker from tipping or falling over. It’s effortless to assemble and yet is very sturdy and durable. This push walker from Bright Starts is a versatile walker that provides four exciting ways for your child to play. For one, its top basket is removable and allows your child some play time without the walker. 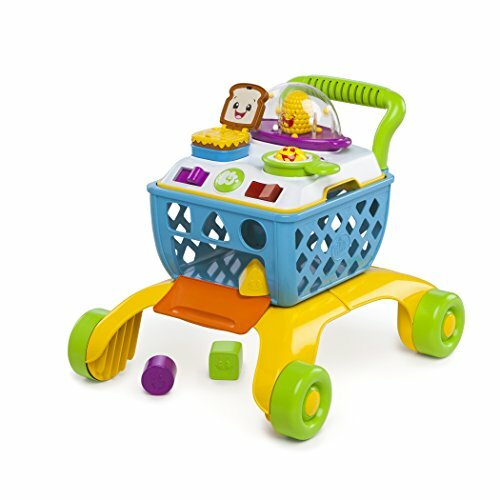 The walker itself is like a mini grocery cart, so your child can pretend play by adding items inside the basket and pushing the walker around. There is also a removable cooktop that produces a popcorn popping noise as the wheels turn. Moreover, it comes with a light up button that switches sizzling sounds on and off. If you’re looking for a push walker that offers unlimited activities, this is an excellent choice for you. The number of activities your child can enjoy with this walker is limitless. Your child can shift from one activity to another whenever he gets bored. The way the base and the wheels are designed makes it very impossible for this walker to tip over. The popcorn sound may be too loud, and therefore, annoying for some. 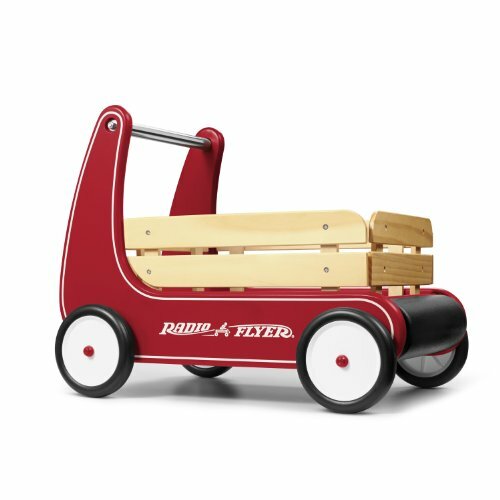 If there is one advantage Radio Flyer has over most manufacturers of baby products, it’s experiencing. 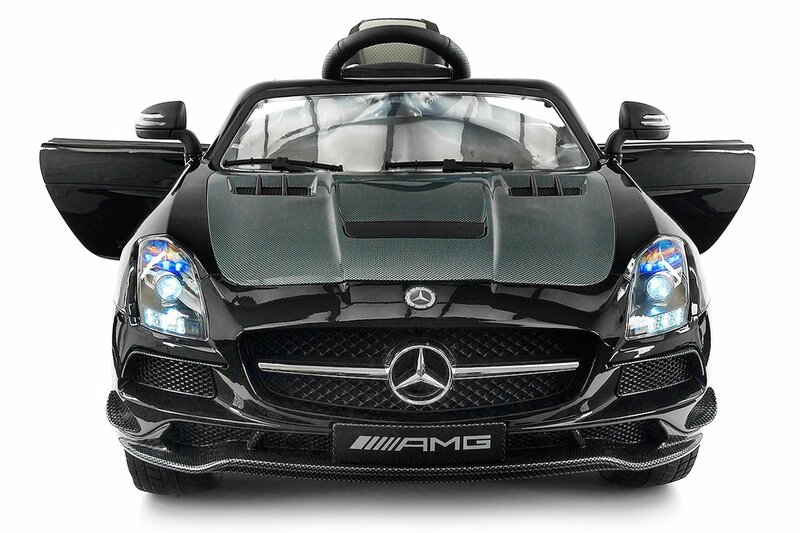 For several decades, they have been one of the most trusted names when it comes to baby rides and toys. 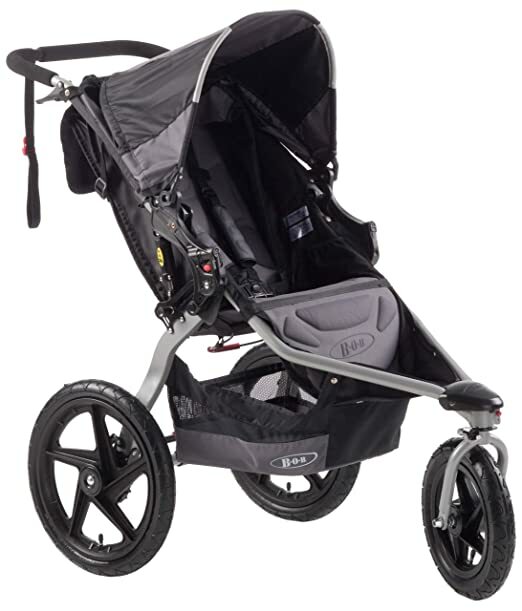 Their Classic Walker Wagon, in particular, is a parent favorite due to its attractive design and overall durability. Its body is made of natural solid wood, and it features wooden stake sides that can be removed for convenience. It also comes with a furniture-friendly bumper to give parents peace of mind. This walker wagon is the perfect choice for children who love to role play as it can be used for carrying books and toys. It comes with a “resist push” feature that lets your child build confidence gradually. The simplicity of the design gives your child more room for creativity. It’s well-built and heavy and has no chance of tipping over. You may be disappointed if you’re looking for colorful play and musical panels because this doesn’t have any of those. READ So, Your Baby Hates Car Seats? This Post Will Explain Why! Another very versatile activity walker on our list is the Chicco Baby Activity Walker. It’s a push walker and activity center in one, allowing your child to develop not only his motor skills but his imagination as well. 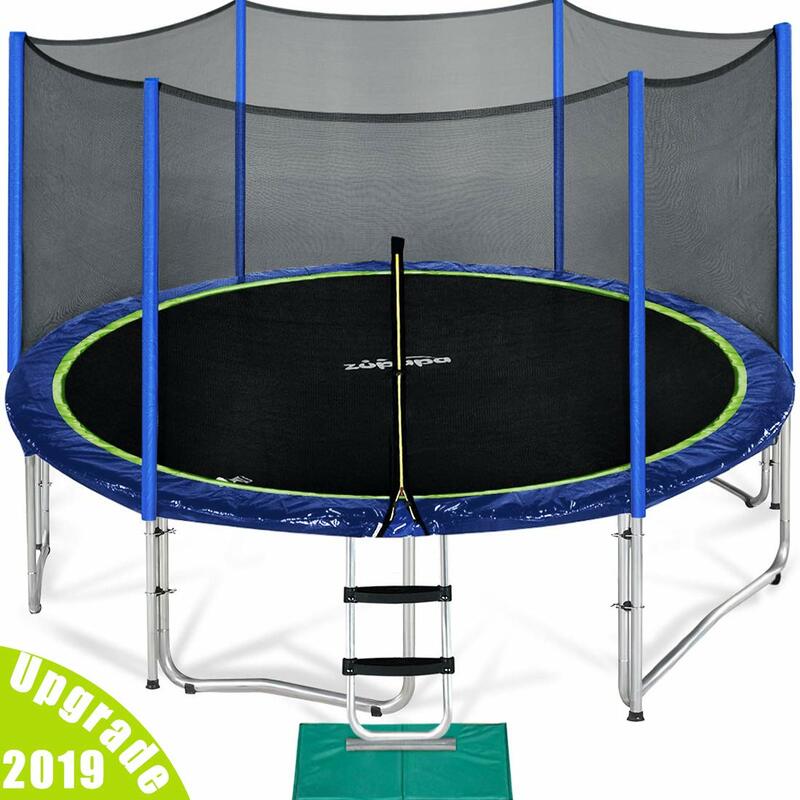 It’s fully packed with activities designed to stimulate the mind and enhance coordination. To help your child walk without moving too quickly, the walker comes with two settings, brake and rolling. Whenever your child gets tired of pushing the walker around, he can sit down on the floor and interact with the toys in the activity dashboard instead. What makes this walker more interesting is the fact that the more it is pushed, the more music it plays. The activity center is just high enough so that when your child sits on the floor, he can easily reach all the available accessories. There’s no need to fold or detach anything if your child wants to shift from pushing and walking to activity center mode. It’s colorful and attractive, but the colors are well balanced and do not look cluttered at all. It’s a bit difficult to control over tiled floors. We believe that the best way to help our children develop their creativity is by giving them enough room to imagine. For this reason, we picked the Radio Flyer Classic Walker Wagon over the rest of the walkers on our roster. Unlike most modern push walkers, it doesn’t have a lot of colorful toys and music to offer. Instead, it remained faithful to its roots, retaining the simplicity of wooden walkers and toy wagons in the past. As mentioned already, since it doesn’t provide any toy or activity rather than a plain ol’ wagon, it encourages your child to be more creative. The wagon is actually roomy enough to accommodate his own stuff such as books, toys, and even snacks. 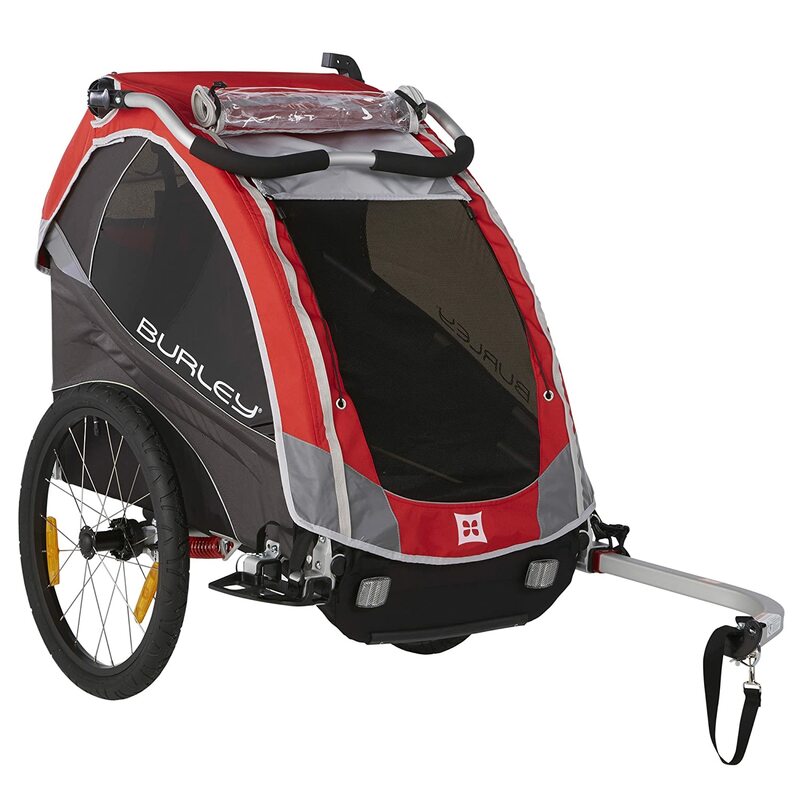 It’s also durable, and its design clearly makes it ideal for outdoor play as well. 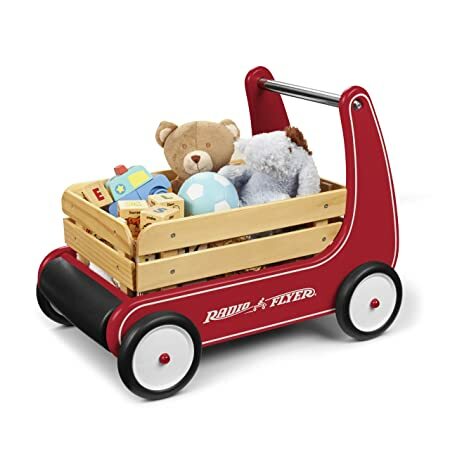 And finally, since it’s from Radio Flyer, you can rest assured that it’s of top quality and is built to last. Baby Walker Vs. Baby Push Walker - What’s The Difference? If you’re like most parents, you’re also probably wondering what the differences are between the two. There’s really no big difference between a regular walker and a push walker, especially when it comes to their purpose. ​Regarding design, however, a traditional walker is more of a suspended seat with wheels. A push walker, on the other hand, and as the name suggests is a push along toy. It also has wheels, but unlike a baby walker, it doesn’t have a seat and a support tray. And contrary to a traditional walker that is usually maneuvered using the child’s chest or upper body weight, a push walker is actually ‘pushed’ with two hands to move. Another significant difference between the two is that the traditional baby walker is considered a no-no in many circles and is said to delay a child’s walking by at least two weeks rather than promote it. Push walkers are considered more beneficial to a child’s development than conventional baby walkers. Many people get confused between the two, but the main advantage of the former is that it doesn't suspend your child in mid-air, providing him more control of his body as he tries to stand and walk. The following are some of the advantages of a push walker over a regular baby walker. Tummy Time. Your child can play with a push walker without having to push it. Some models come with play panels integrated into the base so that your little one can enjoy some tummy time when he doesn’t feel like practicing how to walk. Exercise. Since a push walker allows your child actually to walk or run, it’s a good way for him to exercise. During tummy time, it allows him to strengthen his lower extremities when pushing up or shifting weights when reaching out for toys. Eye-Hand Coordination. The toy panel that comes with some models is usually at the right level so that it’s in front of your child’s face. This promotes visual attention, as well as eye-hand coordination. The best push walker is stable and won’t easily tip over. Find one with a base that’s heavy enough to prevent it from tipping, but light enough for your baby to maneuver it with ease. The base should also have a broad design and a low center of gravity. This will add to the stability of the walker. Another feature that ensures safety and proper functioning of the walker is the wheel design. A good walker should have wheels with sufficient traction. The wheels should also have the option to be loosened and tightened and adjust to the needs of the child. A push walker can be made of either wood or plastic. 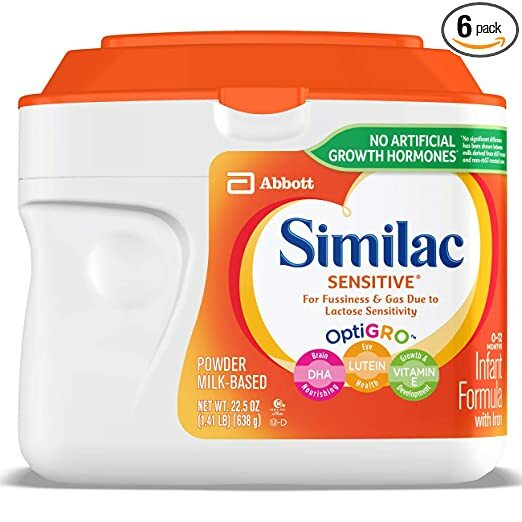 Whichever of the two you prefer, make sure the material is non-toxic, especially since there’s a huge chance your child is going to chew on it. 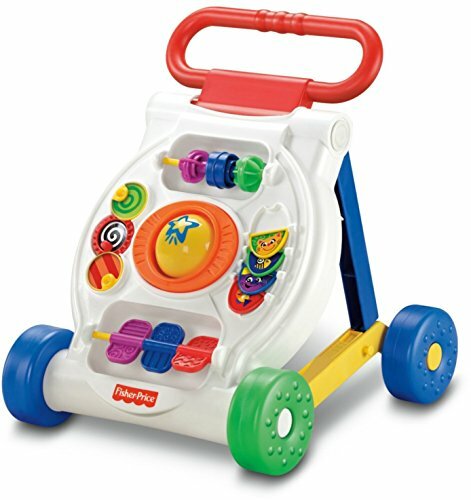 Most models of push walkers come with toy panels and musical mobiles to entertain your child as he learns to walk. Others come with snack trays and cup holders, so your child can enjoy some food while playing. We know you all have your own opinion as to which push walker is the best. Why not share your thoughts with us in the comments section below? And oh, please don’t forget to share this post and spread the word!